synchronize leave and absence status between BitaBIZ and the employees personal Outlook and Skype for business client. 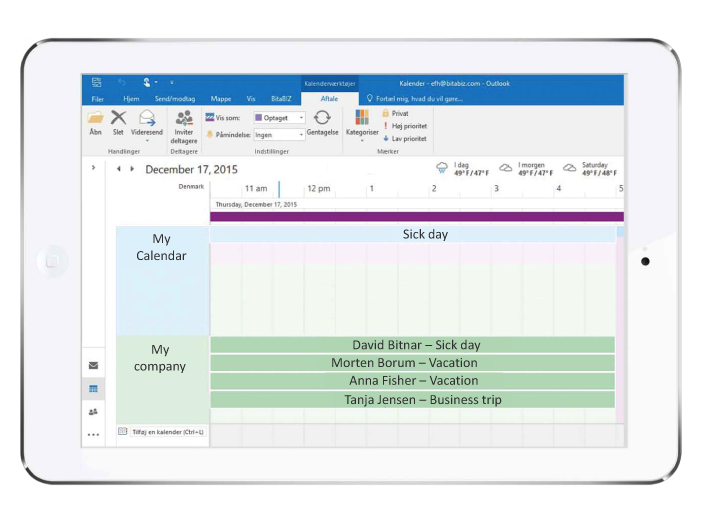 automatically book a shared Out of Office / vacation planning calendar on the Exchange server. How to set-up the integration? How do I create the MS Exchange impersonation or delegation user needed to establish the integration? 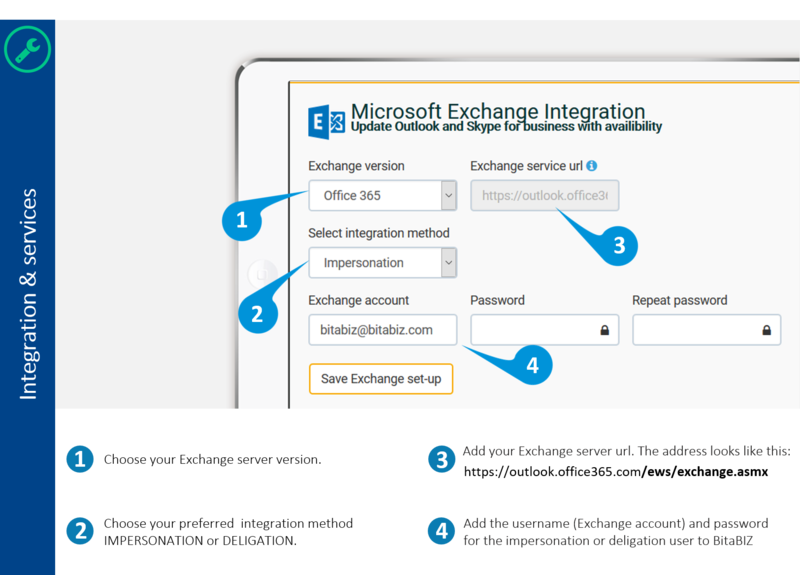 Tjek out different approaches to create an impersonation or deligation user to your MS Exchange server or Office 365 account... click her! Please note: your Microsoft Office 365 partner or Exchange hosting partner are specialists.